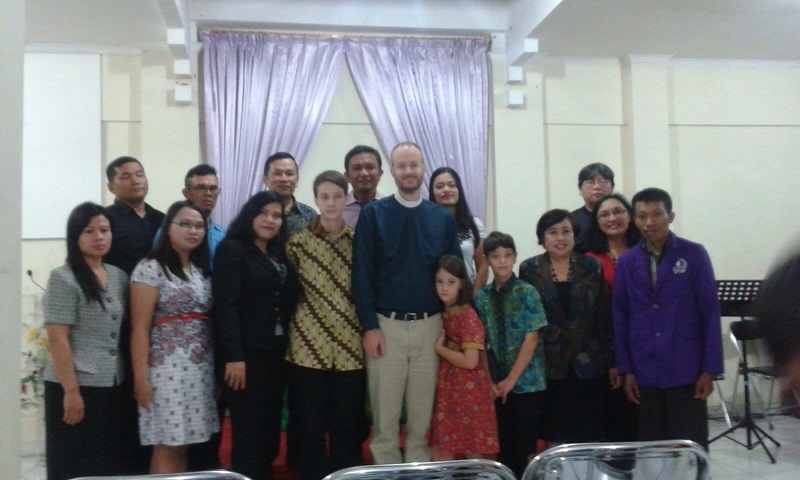 If our kids are looking more colorful than usual, it is because they’re wearing batik to their first Indonesian worship service. It has been a mixed visit so far. For me, a fruitful week of ministry. For Sora and the kids, a painful time fighting the sort of digestive tract illness that we thought we would not experience, since we were coming already from the Philippines. 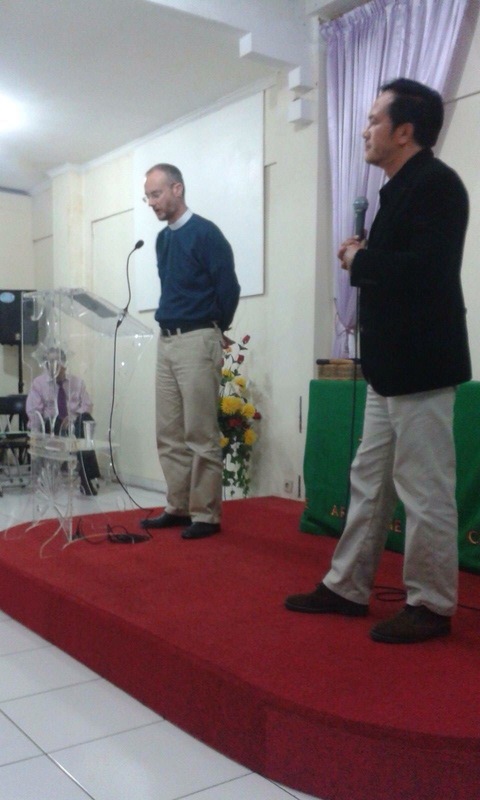 I preached on Psalm 42 & 43 for GAI St. Paul’s in Bandung, Indonesia this morning. Many thanks to Pr. Denny Kussoy for translating my sermon. Matt preaching with Pr. Denny Kussoy translating. The congregation on Sunday included many students from my week-long intensive class at the Bible College. Above: Students at STT St Paul’s Bible College during Matt’s class. At lunch on Sunday, Rev. 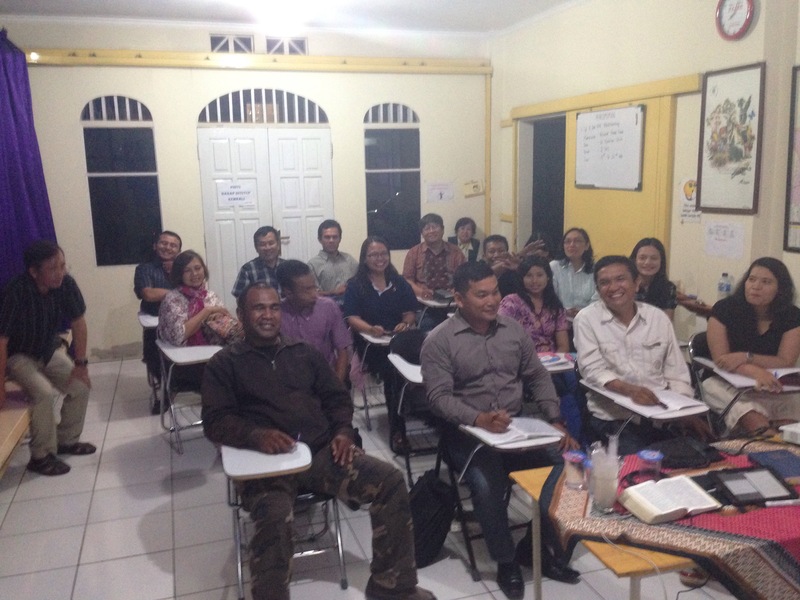 Yopie Buyung explained that he believes Biblical theology (in the technical sense) is greatly needed in Indonesian churches. I believe it. The delighted looks of the students as I explained how the New Testament claims Jesus to be God made it clear that they had not heard it put this (Jewish, Old Testamentish) way before, and that they will be USING these arguments in their own conversations with those who do not know the Lord, or deny that we should worship Him, or who think that “it is far from God’s glory to beget a son”. 1. Explain how the NT epistles and the book of Revelation identify Jesus as divine while still holding to monotheism. 2. Explain how Jesus and the four gospels use the Old Testament to claim that Jesus is identified with the God of Israel. 3. List and explain five main ways that the OT asserts monotheism and show how the NT used those ways to say that Jesus is included in the identity of Israel’s God. Unfortunately, our family has been dealing with some sickness. 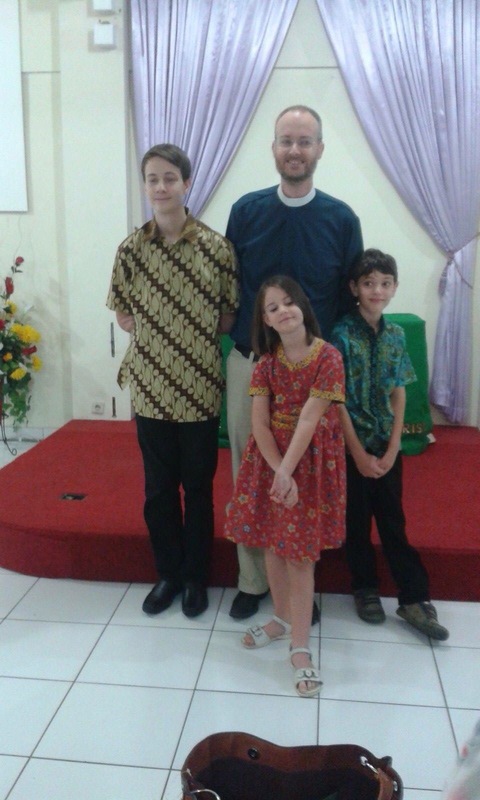 Three kids came with me to church, wearing their new batik clothing. Sora stayed back at the guest house with Naomi, who is still recovering. Later, Isaiah and Hosanna also lost their lunches. Everyone is on the mend, however. We have one more day in Bandung. Rev. Yopie and his wife Hertina and younger son Rexa have been taking very good care of us. 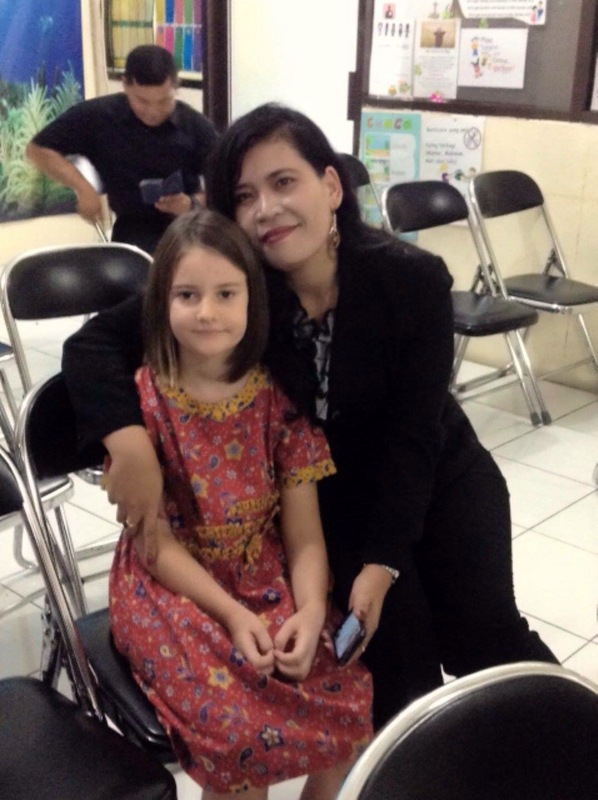 Indonesian hospitality is justly famous, and Pak Yopie’s family has been amazing in that respect. Tuesday, we head to Jakarta for four days, then to Phnom Penh, Cambodia, en route to meet with our SAMS directors and other SAMS missionary families at a retreat in Kep. – Our kids will recover quickly, and that we will have no more illness on this trip. – We may have a pleasant and uneventful train ride full of beautiful scenery from Bandung to Jakarta. – The STT St. Paul’s students will continue to pursue the Biblical approaches to Christology and theology that I introduced them to in the lectures this week, and that the Lord may bless those methods with good fruit. Thanks to Natalina H for the pictures! 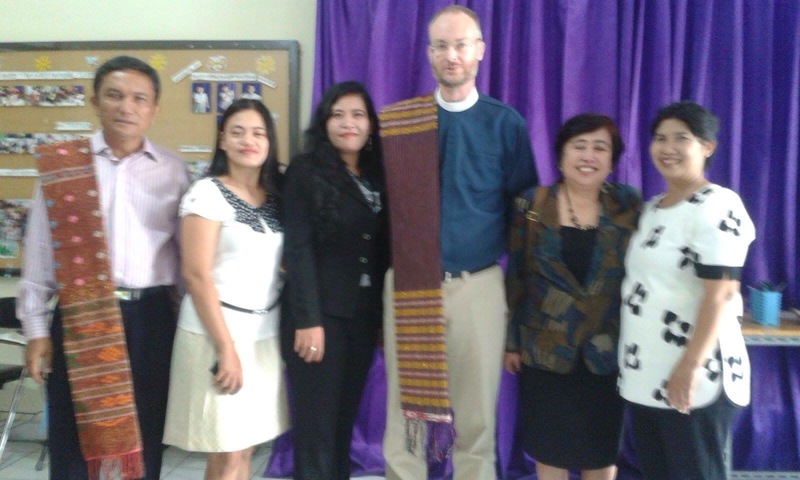 This entry was posted in Matt's Teaching, Photos and tagged Bandung, batik, GAI, Gereja Anglican Indonesia, Indonesia, STT St Paulus.